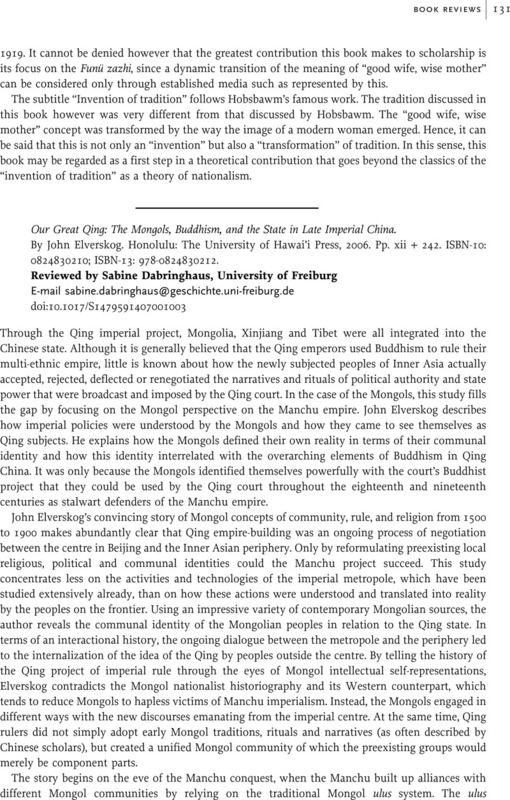 Our Great Qing: The Mongols, Buddhism, and the State in Late Imperial China. By John Elverskog. Honolulu: The University of Hawai'i Press, 2006. Pp. xii + 242. ISBN-10: 0824830210; ISBN-13: 978-0824830212.